In order to expedite patient registration and visits, One Stop Medical Center now provides convenient online registration. Vasectomy and reversal online registration is quick and easy. When patients seek the vasectomy or vasectomy reversal procedures, they often face frustration related to lengthy check-in processes involving necessary but substantial paperwork. To ease this burden, One Stop Medical Center (OSMC) recently unveiled online registration forms on its website, EZvasectomy.com, that allows patients to conveniently prepare for their visits and office procedures in advance, using either their computers or their mobile devices. There are many advantages to using the secure online registration. By using the online registration, patients are required to review all information before they sign off. Therefore, patients are completely informed after online registration. It will save time on the day of consultation and/or procedures. By registering in the privacy of patients‘ own homes or offices, patients will not be distracted by other activities within the doctor’s office on the day of visit. Patients are able to give more accurate information because they may also have access to medical information (prior surgeries, medications, names of doctors) that they may not recall on the day of visit. Moreover, doctors are able to review patients’ history and to call them if there are any medical or social concerns before their office visits. "When a patient registers online, we can expedite their visit to make it much more convenient and easy," receptionist Amber said. "In fact, once they arrive, it's basically just a matter of verifying who they are in order to see the provider, since we already have most of the information needed in our system." One Stop Medical Center provides a wide range of office procedure services that emphasize minimal invasion and local anesthesia, including vasectomies and vasectomy reversals. It offers the most extensive range of state-of-the-art technologies with equipments serving every area of office surgical procedures. 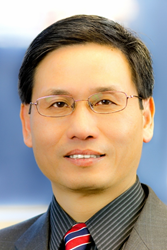 Dr.Steven Shu, MD, MBA, is a board certified laser surgeon who specializes in office procedures. Dr. Shu was an assistant professor in the University of Minnesota medical school from 2006 to 2012, teaching no scalpel vasectomy and other office procedures. Dr. Shu has adopted countless revolutionary techniques to achieve ideal results with more efficiency, affordability and safety. For more information, visit http://www.EZvasectomy.com, http://www.procedureclinic.com.